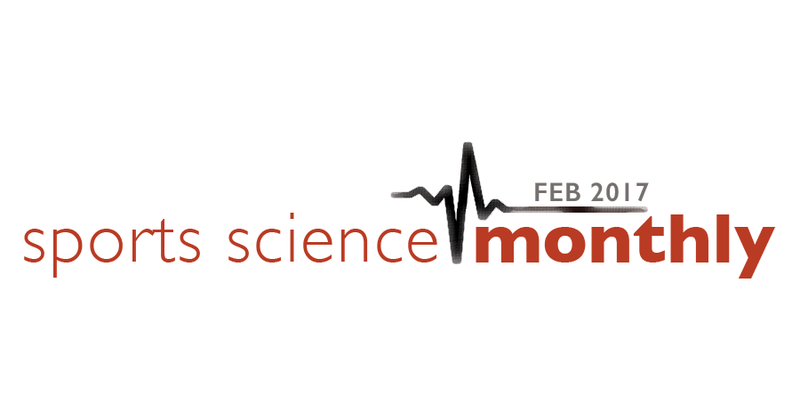 In this edition of the Sports Monthly we have a mini-review on the recent research looking at athlete monitoring, and how this accumulated fatigue may predict injury risk. We also have some research on mental fatigue, and how it affects sporting performance, issues affecting warm ups, and hamstring injury prevention. As always, the full Sports Science Monthly is available exclusively to HMMR Plus Members. The first overview below is free to everyone, but sign up now to read about all the research. To get an idea of what Sports Science Monthly is all about, our April 2016 edition is available in its entirety for free. What About Wearable Digital Trackers? → Quick Summary: Monitoring athletes for overall fatigue is a good idea, and well supported by research; however, it’s hasn’t been established which technique is best. This research suggests that an exponentially weighted rolling average is currently the most sensitive measure to use. In the first edition of this series, back in April last year, I described the recent work on the acute:chronic workload, primarily (but not exclusively) by Tim Gabbett and colleagues. The concept is an interesting one; it examines the interplay between long-term workloads and more short term workload to see what effect this has on preparation. The general consensus from this is that long-term higher levels of training are potentially protective against injuries and improve performance (think of this as “fitness”), whilst shorter term periods of high workloads likely reduce performance and increase injury risk (think of this as “fatigue”). What you want ideally is good levels of fitness, and then before a competition reduce the fatigue levels by reducing workload. But, if you reduce workload too much for an extended period of time prior to competition, this leads to a decrease in fitness, meaning that performance can suffer and injuries can be more likely. As I said, there is consensus as to the underlying theory, and most of the recent discussion has been regarding how you actually calculate the acute:chronic workload (ACWL), something that you might want to do to monitor injury risk and overtraining in athletes. I monitor my own ACWL in a very simple way to see if my current training load is significantly higher than previous weeks, which could indicate that I am training too hard, or that I might need to increase my training volume over an extended period of time to build up fitness. It represents a fairly easy metric that can give you some usable information. The method I use is that each day I calculate my training load by multiplying my training time by session rating of perceived exertion (sRPE) – a measure of how hard training was. So, if I was doing a heavy lifting session in the gym that was 8/10 in terms of effort, and that lasted 60 minutes, my training load would be 8 x 60 = 480 arbitrary units. Then, I compare my 7-day rolling average (which I deem to be my acute workload) with my 28-day rolling average workload, and if there is a significant deviation (I use z-scores, but I don’t want to complicate things further), I know that my acute workload is too high, and I can back off. Conversely, if I want to taper, I can monitor my acute workload relative to my chronic workload to ensure I am actually reducing my overall training load. The SPRE method is, to all intents are purposes, the same as used by Gabbett and other researchers in their early papers on the ACWL. However, it was then pointed out that fitness is not static, but rather it can increase, or, more importantly decrease, as time progresses. The use of a four-week rolling average doesn’t take this into consideration; it assumes fitness is static and doesn’t decay. To illustrate this, let’s look at two athletes, A and B. Athlete A has the following workloads over 4 progressing weeks; 1000, 1000, 1000, 1000. This means his average 4-weekly workload is 1000. However, athlete B has the following workloads; 1500, 1500, 500, 500. His average 4-weekly workload is also 1000. However, athlete A has a much more consistent chronic workload that athlete B, who may well be losing fitness given that he has had two weeks of reduced workload. Same numbers, but different real-world outcomes. To overcome this issue, a group of researchers from the University of Bath suggested the use of exponentially weighted moving averages (EWMA), whereby the older the information, the less weighting it gets. Returning to the previous example, athlete B’s workload in weeks 1 & 2 does not get the same weighting as weeks 3 & 4. Of course, this is all theory – what we need is some good hard research to examine whether ACWL or EWMA are more sensitive, and better predict increased injury risk; which brings us to our first study this month. This paper aims to answer that question for us, and you’ll note that the second author is Tim Gabbett, who proposed (and defended) the use of ACWL in his papers and correspondence. I have a massive amount of respect for him in carrying out research that might disprove his initial stance, because it shows that when you are open and not tied to a particular hypothesis, you can make a big impact. The authors looked at data from 59 players from the Brisbane Lions AFL (Aussie Rules) club over a two-year period. The AFL season is comprised of a 16-week pre-season, followed by a 23-week in-season period; this period could be longer, but the Brisbane Lions tend not to make the playoffs. GPS data was used to collect workload information, including distance covered across a number of different velocities. Overall, there were 40 injuries during this two-year period; 18 during the preseason and 22 during the regular season. Just over half of these injuries were in the hamstring muscle group. The next step was to compare the rolling average and EWMA methods. The two methods gave significantly different results, with the EWMA model giving lower values for the chronic workload on any given day. Overall, spikes in workload that resulted in an ACWL score of greater than 2.0 were significantly associated with an increase in injury risk in both the rolling average and EWMA models. The EWMA model provided greater sensitivity in identifying injury risk compared to the rolling average model; this occurs because it places greater emphasis on the most recent workload carried out by the athlete, and the smallest emphasis on the most distant workload, thereby painting a truer picture of overall load. Obviously, the usual caveats apply – it’s a small group and needs replicating in a larger cohort. Nevertheless, we get some pretty good information from this paper; firstly, that that acute:chronic workloads are useful when it comes to predicting injury, something that has been building for a long time. Secondly, we see that the method of calculation can be important, and, because fitness decays over time, a method that takes that into account is very useful. This is just the beginning. To continue reading this article you must be a HMMR Plus member. Join now to get access to this and more content. Learn more and sign up here. If you are already a member, log in here.